General, pre-purchase and insurance physical examinations. Preparation of health papers for interstate and international export. Treatment and prevention of internal and external parasites. Evaluation of nutritional status through ration analysis and blood and tissue analysis; water testing. Dental care including floating and tooth extraction. Reproduction management including fertility evaluation, breeding soundness exams of bulls, fertility synchronization, culture and sensitivity testing, pregnancy detection, ultrasound examination, obstetric assistance, post delivery exams. Care of newborns including, IgG testing of foals. Diagnosis and treatment of digestive disorders including colic, bloat, displaced abomasum and hardware disease. 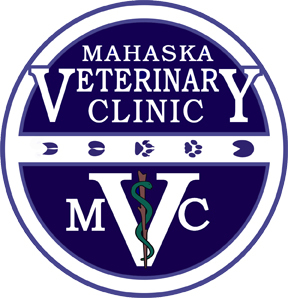 Mahaska Veterinary Clinic Large Animal Service doctors perform all routine surgical procedures such as castrations, tumor removals, cosmetic dehornings, Cesarean sections, and repairs of lacerations, fractures, hernias and displaced abomasums. Production medicine programs are tailored to each type of food animal, but includes consultation on animal housing, nutrition, reproduction, general health care, disease control and personnel training.